Those who have been using tools all their lives would know that Bosch is one of the best manufacturers when it comes to quality tools. 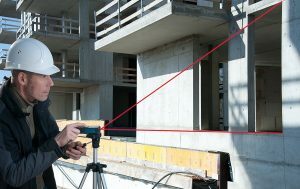 Not only does Bosch have some of the best laser level, it also has some very good laser distance measurers. Modern measuring gadgets are making measurements easy and more accurate for us in less than half the time we generally took to do measurements the old school way which needed a tape measure and some stationery. Things like these seem dated now with the laser distance measurer. 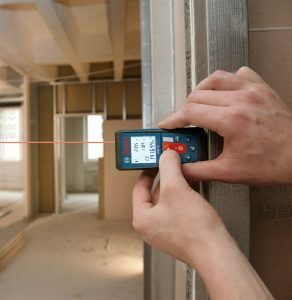 The Bosch GLM 50 Laser Distance measurer is one of the best laser measure that I have come across. Let us discuss the features, advantages and disadvantages of this handy tool which is a little over 7 inches tall. This Bosch laser measure aims at keeping things simple for the user. There is no complex learning curve that you would have to go through if you bought one of these. In fact, people can begin using the product in no less than 10 minutes once they have inserted the batteries because the controls are self-explanatory and for those who need help, the manual is easy to understand too. A quick look will get you going and you wouldn’t have to spend arduous hours trying to train yourself on a new tool. One thing that we may want to point out though is that the GLM 50 has two identical red buttons placed one under the other. This ends up creating a confusion for users because one of them helps the device to switch on and off while the other is used for activating the measurement process. Pressing the wrong button can get frustrating at times, especially when you are relying on quick measurements. We feel that this is one of the disadvantages in the design of the GLM 50. 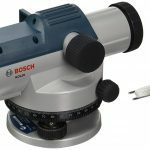 Bosch tools are known for their accuracy and the GLM 50 does not fall behind. It measures right to the 16th of an inch and you can measure the same thing numerous times and you will find the same measurement which I find very reassuring because machines often end up showing different measurements when you try to measure the same thing many times. This is not the case with the GLM 50. It is very accurate and it proved itself in many tests of different lengths and it measured it right to the 16th of an inch. 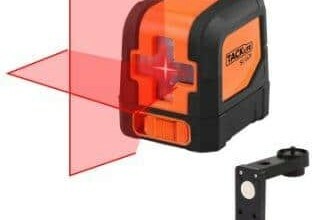 This Bosch laser measure has a backlit display which is absent in a few of other laser measures manufactured by Bosch. The advantage of a backlit display is that users can take it outside to measure things outdoors as well and they will not have problems reading the screen if the sun is too bright. It also helps in reading the measurement in places where there isn’t enough light. Extreme lighting conditions can be a possibility for many professionals, and in places like these, having a tool that can back you up is helpful rather than straining your eyes trying to read the measurements. The GLM 50 has a slim design which makes it very compact and easy to carry around in a pocket. The three line automatic display is large so that users can read the measurements easily. The backlit display ensures that the measurement can be read in extreme lighting conditions as well. The seven-button design simplifies the use of the laser measure. The round buttons with a silicone overlay have been created to give users the ability to use the buttons with ease. The large soft grip areas help users grip the device properly but it also gives us the idea that the tool can take a few falls without facing any problems. Bosch’s claims that the GLM 50 has been tested on the job site and it is resistant to dust and water. The fact that it is drop resistant to 3 feet ensures us that the GLM 50 has been designed to be durable for the users. The GLM 50 can be an ideal tool for people who need to calculate length, area, volume and surface measurements. 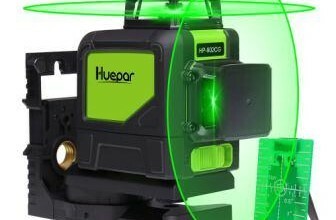 The possibilities for using the tool can be for estimating material needs for plumbing or for HVAC and electrical installations. But estimation is not the only thing where it can help. Many users will find it helpful for tiling and flooring as well if they rely on accurate measurements to create an impeccable layout. Then we have the drywall installers who can find the GLM 50 useful too and even real estate agents can benefit from it. So the device can come handy for anyone who deals with construction and housing. There are three reference points that are available which help you pick take the measurement either from the back, front or the center of the device. It is available for $$$ on Amazon and it includes a hand strap and two AAA batteries along with a belt pouch as a part of the out-of-the box accessories. 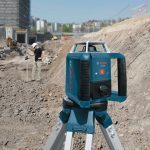 At this price, the Bosch GLM 50 is one of the best laser measure that we have come across because of its price and the functionalities that it offers for that price. The accuracy and ease of use of the tool also make it a great choice for many professionals and DIY enthusiasts. Most of the Bosch GLM 50 Laser Distance Measurer Reviews talk positively about the device and keeping its features and pricing in mind, we have nothing less to say about the tool. It is one of the best tools that professionals can carry for measurements. 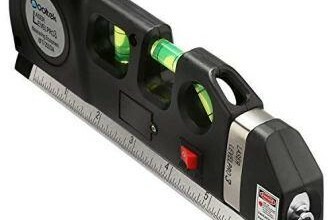 Its ability to effectively replace the tape measure makes it a great choice for professionals and the many modes in which you can use it makes many complex calculations very easy. While there are many positive laser measure reviews for other laser measures too, we consider the GLM 50 to be one of the best.